When hiring home repair contractors, you will receive home repair quotes from various experts who are offering their services. These seemingly insignificant lists that you might think could only be understood by fellow professionals can greatly help you in choosing the right contractor for the job. 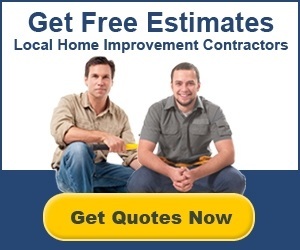 Home repair estimates will tell you a lot about the home repair professional that you want to hire. These pieces of paper will also help you know more about the project that you want these experts to do. Hence, you need to ensure that you get a detailed one. You should also read and compare these estimates with one another so that you can choose the best one and hire the right home repair expert for your repair project. Listed below are some of the important things that you need to see in a home repair estimate. Make it a point to take note of the details indicated in the list so that you can effectively compare quotes and choose the right one for you. A detailed list of materials that will be used in the project should be included in the quote. This will show the number of certain types of materials that will be used, which will indicate how large the project will be. A detailed list of products is important since it will ensure that you are not paying for more products than will actually be used. Since it is easy for repair companies to just charge you with a certain amount for unspecified quantity of materials when a detailed list is not provided, it is important to ask for a detailed list. This way, you can ask where these materials will be used and you can ask for a computation on how the repairmen came up with the amount that they indicated in the quote. This will prevent you from paying for materials that will not actually be used in your home repair project. Cost of materials and equipment to be used in the project. Of course, the cost of the materials listed on the quote should be included. The cost per piece and per product should also be indicated and not only the total price of the materials. This will allow you to see how much each product costs and will enable you to compare the prices with other contractors. If the project will require equipment that should be rented, the cost of those tools should also be added into the list. The amount of time the tools would be used should also be indicated so that the total price of rental can be determined. This will prevent overcharges for the equipment rental that you will pay for at the end of the repair. Cost of labor and number of workers. The number of workers should be indicated in the home repair estimate. This will help you determine if the right number of employees is hired and there are no excess persons working for your project that would only cost you money but would not do any good for the project. You should also see if the cost of labor is indicated. Certain workers will charge higher rates because of their expertise and amount of work they do. List of permits needed and corresponding costs. Permits are needed for big repair projects. Hence, you should make sure that your chosen repair professionals will get necessary permits for your project. This will prevent problems with government agencies handling construction project in your area. Acquiring permits is also an indication that the company is legitimate and they are following proper procedures in home repair services. Due to this reason, you need to look for the list of permits needed and check if such permits were acquired prior to the start of the project. Timetable of the project from start to finish. To ensure that the project is done in a timely manner, ask for a timeframe from the repair experts. The indicated timetable should reflect the progress that the employees make on a daily and weekly basis. Use the timetable provided to you upon submission of home repair estimate so that you can keep track of the work progress. Take the timetable seriously so that you won’t have to endure slow progress on repair projects. This will not only disrupt your daily activities but can also cost you more money on labor cost. Keep the estimate so that you can use it as reference for keeping track of the timeframe of the project. The preparation of the area where the repairs are going to be done should be the responsibility of the repairmen. Make it a point to look for this service when reading estimates. If preparation of the area is not included, ask the contractor why this is the case. Cleanup of the area where the repairs are made should also be included in the job description. Professional repairmen should know where to dump waste materials that can harm the environment. Recycling facilities are also one of the places where wastes are disposed of. To protect the environment and your neighborhood, make sure that the home repair experts that you will hire know where wastes should be brought. You should also ensure that they have the proper equipment to transport large amounts of waste from the repair project. Home repair quotes are not a simple piece of paper that indicates the estimated cost of a project. It is also used to determine the capacity and willingness of the company to do the project correctly. This piece of paper also indicates the responsibilities of the repair experts. So, it is important to take your time in reading estimates from various home repair professionals. It will help you separate experts from inexperienced service providers who try to impress homeowners with small figures but are not able to offer good service and products to their clients.